In The Truth About Us, the present is built on the past. But what if your past is a lie? The present is built on the past. But what if your past is a lie? After a key clue goes missing, Abigail ignores her grandmother’s rule and tells Kade everything. Together, they begin to unravel a terrifying truth. The truth may set others free, but for Abigail, it will tear her family apart. 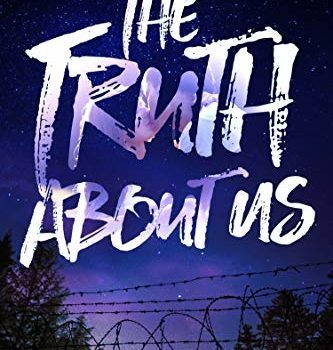 This is a beautiful, heart warming and heart wrenching story of discovery, family, truth, lies and betrayal. When the Grandmother whom Abigail has always had a close relationship with passes away, she is left heartbroken. She is the one who makes Abigail laugh, holds her close and in true GG style, leaves her a series of letter that sets her off on a quest to discover an important secret. The only stipulation – she only receives information as GG seems fit in a very specific order. At first, Abigail doesn’t know what to believe – she is left with a letter and a journal, does she read it and accept her whole world will change? Or does she go on pretending life has never changed? Quite a tough task for someone so young! With the help of a friend whom she “accidentally” meets (you will have to read the book to get this pun! ), she sets out on a risky mission to discover the truth which has ties to a WWII Nazi camp. 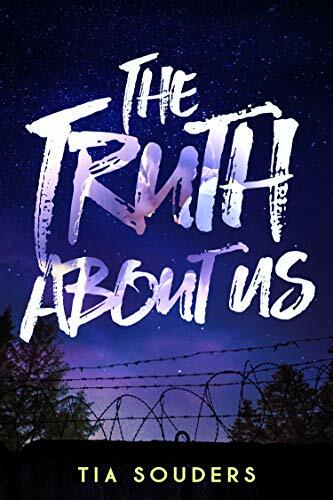 Her mission is not for the faint of heart as she quickly discovers, as someone is trying to hide the truth and someone may have or most definitely has killed over the truth. This is an amazing story from start to finish. You connect with Abby and feel for her with all of your heart. You can’t even begin to imagine yourself in her shoes and what you would do! Does she reveal the truth and destroy a few people but give peace and closure to a huge group of others? So difficult! This was a well written novel that I just could not put down, I loved every moment and had to finish it once I started it. Tia Souders is the author of young adult novels MORE THAN A NUMBER and BETTER THAN THIS, as well as the women’s fiction novel WAITING ON HOPE. When she isn’t writing, she’s likely working with her hubby renovating their century home. She’s a wine-loving, coffeeholic with a sweet tooth and resides on a farm in rural Ohio with her husband and children. She loves chatting about books and has always wanted to join a book club but her introverted self won’t let her. She loves connecting with readers, so reach out!